CAPITAL PUNISHMENT: JUSTICE OR HUMAN RIGHTS VIOLATION? On November 6, California voted not only for the next president, but also for a number of propositions affecting many of today’s controversial issues. Among them was Proposition 34, or the Death Penalty Initiative Statute. If passed, this proposition would have completely abolished the death penalty in California and replaced it with a life sentence without chance of parole. Although Prop 34 was not passed, capital punishment is still a politically relevant issue and will undoubtedly reappear on ballots in California, as well as many other states. The ballot was stopped by a margin of 53% to 47%, which is an apparent decline of support from 1978, when the current death penalty law was enacted by a majority of 71%. This downward trend mirrors that of the country as a whole. Connecticut voted its abolishment this April, making a list of 18 states that have repealed the death penalty, including Washington D.C. Both nationally and internationally, the acceptance of capital punishment has been visibly decreasing over time. Proposition 34 has two main components: first, that the state would end capital punishment and replace it with a life sentence without the chance of parole. This would also apply to those currently on death row, effectively stopping state execution as an establishment in the state of California. The main issue is the morality of capital punishment; many groups, including Amnesty International, see it as “an irreversible denial of human rights,” violating the Right to Life as stated by the International Declaration of Human Rights set out by the UN. Rose Seward, an advocate of Prop 34 who herself survived a brutal attack by a serial killer now on San Quentin’s death row, wrote, “How can we say with credibility that murder is abhorrent, an abomination, and then turn around and commit the act ourselves?” Another argument is that while we have over 724 inmates on death row—the largest of any state in the country by over 300—we have only carried out 13 executions in the last 34 years, exemplifying the unworkability of the current system. On the other side of the issue are groups that use graphic stories of brutal murders to show the importance of keeping capital punishment alive. While those in favor of the death penalty agree that the system is broken, they fight to alter it instead of eradicate it. They argue it is cruel to let the loved ones of victims see murderers stay alive, and that capital punishment creates a safer environment for society as a whole. By letting these people live, they claim, we are letting them escape true justice for their acts. While these are valid arguments, particularly when paired with victims’ horror stories, it is important to consider that if a government wants to condemn the act of taking another’s life, there is irony in taking the life of that murderer. On an international level, the issues concerning the morality of capital punishment take on a new complexity. Currently, 139 countries do not use the death penalty either in law or in practice, while 58 countries, including the United States, do have an established death penalty system. In 2007, the United Nations General Assembly established a moratorium on executions with the goal of permanently eradicating the death penalty, referring back to the first right listed on the United Nations’ Declaration of Human Rights: the right to life. The World Coalition’s Convention on Human Rights has also issued a ban on capital punishment, echoed by the abolishment of the death penalty throughout Europe. Central and South America have either completely ended the death penalty, or only use it in times of war. Other countries, such as China, are aberrations from the general trend: they have an established capital punishment system not only for adults, but also for adolescents. Overall, however, application and positive opinion of the death penalty is on a steady decline, both nationally and internationally. Yet one of the main issues at hand that is rarely discussed the direct effect of the death penalty on murder rates. According to DPIC, or the Death Penalty Information Center, in the last 20 years there has been a steadily lower murder rate in U.S. states that have abolished the death penalty. In 2010, states without the death penalty had a 25% lower murder rate than those with it; in 2009, it was 35%, and in 2008, 41%. Others, however, show different statistics to prove the effectiveness of capital punishment. David B. Muhlhausen, PhD, states that every execution results in 18 fewer murders. 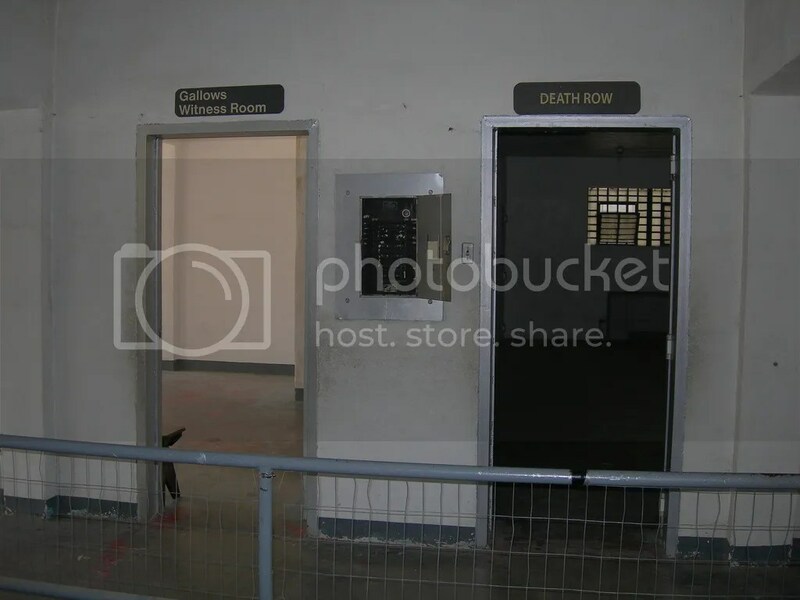 Ultimately, capital punishment is a highly controversial issue with a large amount of contradicting information. While some believe there is no excuse to take a life, not even that of a murderer’s, others believe that this is the only way a murderer’s victims will be provided with justice. There is not necessarily a right or wrong side. Each person’s experience and knowledge can lead them in a different direction. However, there is certain hypocrisy in a government trying to stop murder by using premeditated execution. Regardless, taking away human life, no matter the person or the reason, is a very serious issue and one that should be well considered as to its implications beforehand. DIPC. “Deterrence: States Without Death Penalty Have Consistently Lower Murder Rates.” DIPC. December 15, 2010. Web. November 14, 2012. Evans, Brian. “California Death Penalty Hangs On (Barely).” Amnesty International. November 7 2012. Web. November 14, 2012. Pelisek, Christine. “Prop 34: A Look at Life on Death Row.” Newsweek. November 5, 2012. Web. November 14, 2012. SmartVoter. “Proposition 34: Death Penalty Statute of California.” League of Women Voters of California. November 13, 2012. Web. November 14, 2012. VoteNo34. “Preserve California’s Death Penalty Law.” October 30, 2012. Web. November 14, 2012. Zitrin, Elizabeth. “International Views on the Death Penalty.” Death Penalty Focus. February 18, 2012. Web. November 14, 2012.